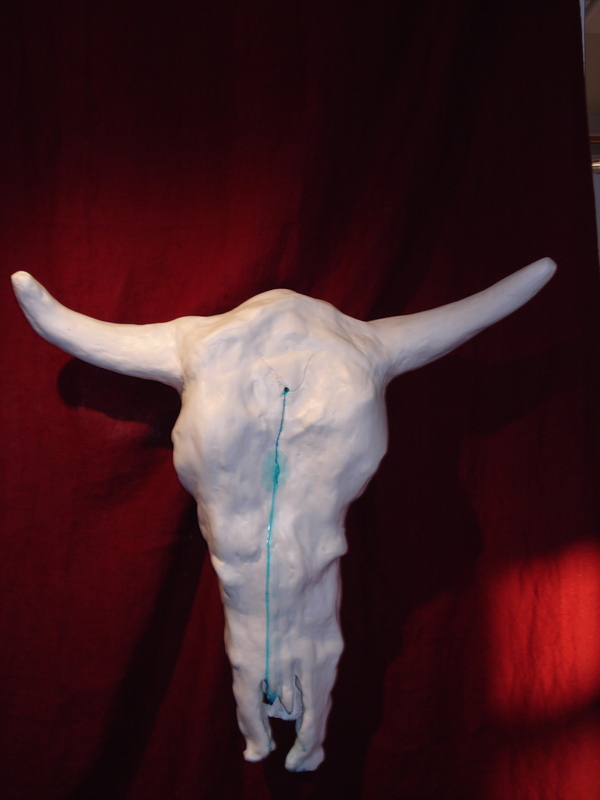 I initially titled this piece “Regeneration.” I made a life size cow skull out of plaster with a bullet hole in the forehead. In the original piece, blue water dripped from the hole into a glass vase with sand in it. To me, the installation piece represented life coming from death; the elements taking the minerals back to the ocean where it starts all over again. But I always felt like this piece had more to say. Finally it hit me that this piece is really about the conflict of water in the West– because that is the root of life in the West. This piece is still in process. It will come again in future installations on this theme.